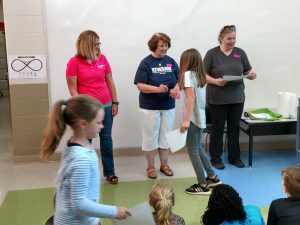 Bring Up Grades (BUG) is a program of Kiwanis International for 3rd graders designed to provide recognition to students who raise their grades into an acceptable range and maintain or continue to raise them from one grading period to the next. If they do, they become a BUG. There are also Reading BUGs, Math Bugs, and Super BUGS. Super BUGS are “A” students who assist others to bring up their grades. 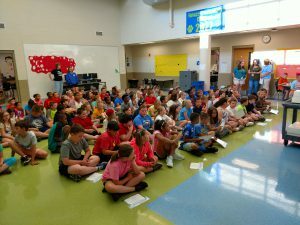 Recognition includes rewards each grading period, being placed on the BUG Honor Roll, publishing the honor roll names in the Winchester Sun, and at the end of the school year receiving a BUG Honor Roll Certificate at the school awards program. Kiwanis also throws parties at the end of the year to honor all the BUGs. PIE coordinates with Kiwanis in obtaining and keeping records of all students throughout the year and prepares the certificates. The average number of certificates awarded each year is 500!